The title of this book is Speaking of Culture and its purpose is to define culture and many other concepts associated with it. 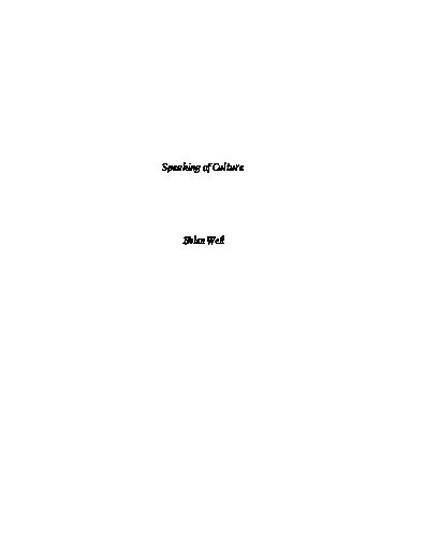 My hope is that the readings in this book will help you to better understand the breadth of the concept of culture and provide you with a vocabulary for discussing it more articulately. Culture is one of those broad concepts that is used widely, although somewhat imprecisely, in everyday English. It also cuts across many academic disciplines, and this book draws on many of them. It touches, for instance, on anthropology, biology, history, mythology, political science, psychology, and sociology.